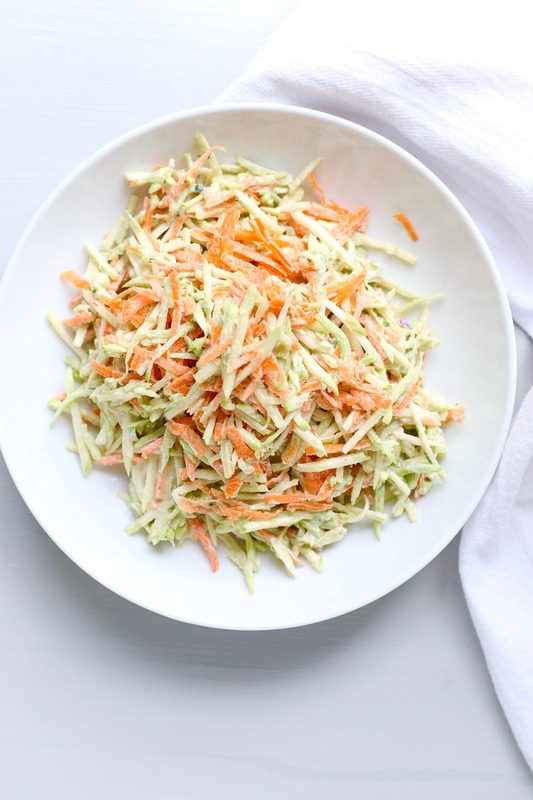 This Broccoli Salad with Honey-Tahini Dressing is my answer to traditional coleslaw. With no mayo or dairy, it’s lunchbox ready and packed with crunch and nutrition from broccoli, carrots, and tahini. Shred the broccoli stalks and carrots. Set aside. In a medium bowl, whisk the tahini, honey, vinegar, and garlic powder until smooth. Add the shredded broccoli and carrots. Toss to coat. Serve.